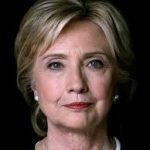 Now that the smoke is clearing, we can take a look at the 2016 Presidential Campaign, “I’m With Her” and determine why Clinton’s brand failed with voters. Branding involves creating a unique name and image. The ultimate purpose for branding is to establish a significant and different option that excites and attracts new customers as well as retains loyal customers. So why did Hillary Clinton’s Presidential Campaign fail? Traditionally, for Democrats, blue-collar workers are loyal to their voter base. In this week’s election, we now see that the Clinton Campaign did not retain their blue-collar base especially with voters in Michigan, Ohio and Wisconsin. Clinton spend a lot of face time in Michigan and Ohio but loss nearly 140,000 votes in those states compared to the 2012 Barack Obama Election. Some would say that the Clinton Campaign took Wisconsin voters for granted since she spent very little face time in the state. Why no exposure in Wisconsin? Perhaps, the campaign thought they had Wisconsin in the bag. Wisconsin hasn’t voted for a Republican Presidential Candidate in 35 years; Donald Trump became the first since 1984. If your customers can’t see, touch, or feel connected then you are in trouble. For a brand to win, it must retain its loyal customers – I’m With Her did not! Who do I need to observe? Why am I observing a specific group or groups? Do I have up-to-date data? How do I apply these observations to win? It is clear the Clinton Campaign’s research didn’t have an absolute answer for each of the above questions. Either the campaign’s research didn’t believe, ignored or didn’t show the primary reason voters went to the polls in this year’s Presidential Election. Although the votes are still being counted, approximately 120,000,000 people voted in this election. When asked, which quality mattered most in a candidate, 40% stated the quality of change mattered most to them…it was the ultimate deal breaker for the election and the campaign missed an opportunity to communicate how it would continue to bring a change in America….a different change then the current Obama Adminstration or a potential Trump Administration. For a brand to win, it must understand why they are chosen and why they are not – I’m With Her did not! Remember I said in the beginning of this blog, branding aims to excite and attract customers. Well, collectively only 4 out of 10 voters said they would be excited for a Clinton or Trump in the White House. However, Trump impressively inspired White males to the polls; whereas, Clinton won with African-Americans, Latinos and young voters but at smaller percentages than Barack Obama carried in the 2012 election. These percentages of 5%, 7% and 6% maybe small, but were huge in the overall picture of an already suppressed voter turnout. CNN polled 25,000 voters; only 10% (2,500) were first time voters; 56% (1,400) of the first-time voters polled supported Clinton – that’s not enough. Historically, Democrats specialize in recruiting young voters. The Clinton Campaign did a poor job of increasing new voters and a worse job at generating excitement with established voters. For a brand to win, it must excite and attract customers to positive action – I’m With Her did not! So why did Hillary Clinton’s Presidential Campaign fail? With all respect for Hillary Clinton’s personality, family values, outstanding resume, commitment to serve, willingness to be a historic role model for generations and potential to do an amazing job as President of the United States, her campaign simply didn’t know itself nor its voting public!